Free Shipping - Coast's Pure Beam Focusing Optic System with Fingertip Speed Focus Control provides superior beam consistency from spot to flood. 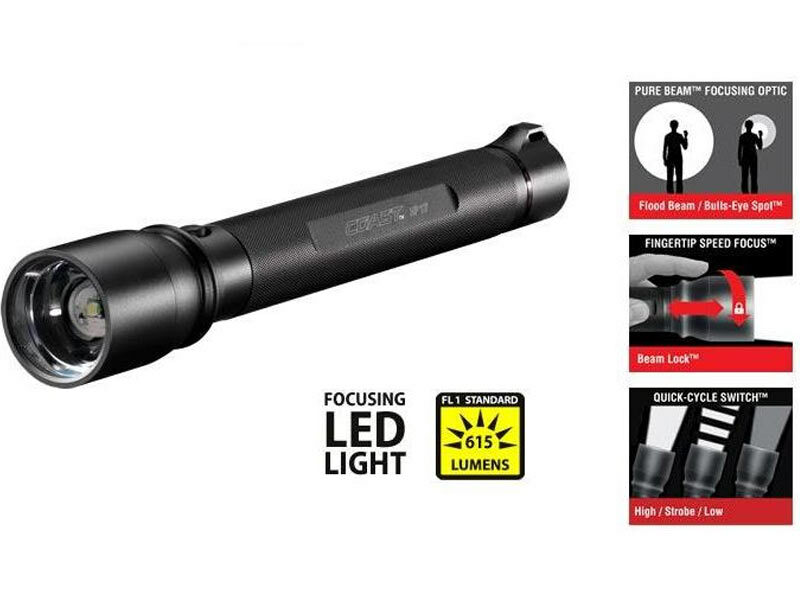 Coast's Pure Beam Focusing Optic System with Fingertip Speed Focus Control provides superior beam consistency from spot to flood, with no dark rings typically associated with focusing flashlights, and you can lock the beam focus in any position you want with our Beam Lock System. The Bulls Eye spot beam pattern gives you a great focused spot while producing an outer ring of flood light which allows you to see a broader area to the sides.